This example uses a script action to check if the database server is online before running the database operation. 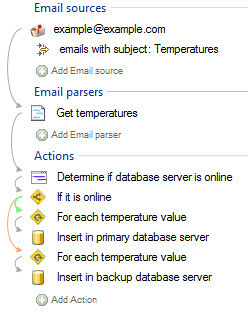 In the first step the script creates a field called is_database_server_online. If it is online the value of this field is set to “yes”, otherwise it is set as “no”.